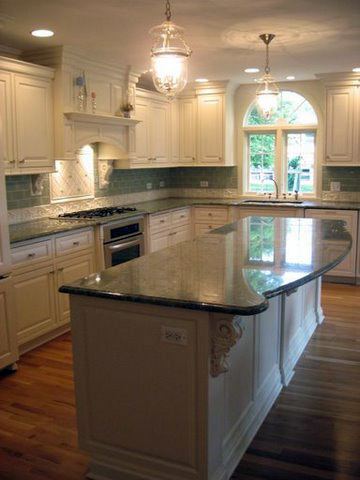 Traditional Kitchen with solid cream conversion varnish finish and soft glaze applied. Sink Cabinet is accented by decorative wood columns. 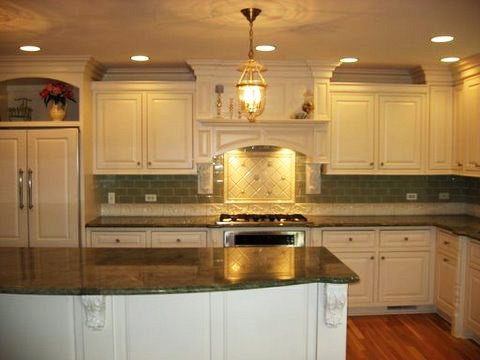 Wall cabinets are trimmed with crown molding. 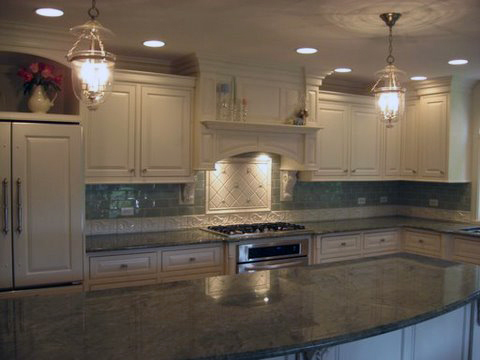 Large Island cabinet creates a functional work space. 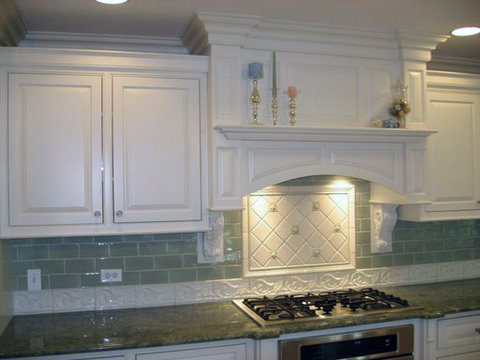 Elegant Hood over range with ledge, accented with Large Crown Molding and applied raised wood panels. Cozy window seat next to the Kitchen creates a rest full atmosphere. 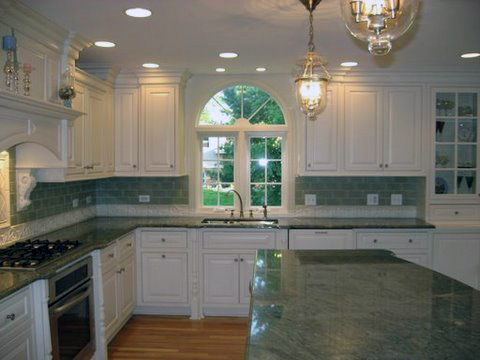 Glass doors with mullions on display cabinet repeat the window design and furnish a place to display glassware and vases.